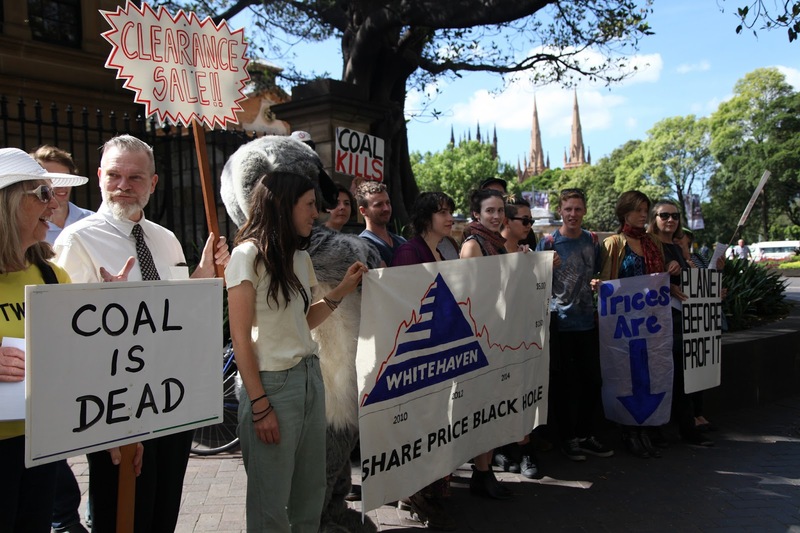 Coal protesters outside the AGM of the coal company, Whitehaven, in Sydney, Australia October last year. Photo credit: Kate Ausburn via Flickr. In April, the world’s largest coal company, Peabody Energy, filed for bankruptcy So in the light of this should environmentalists embark on a celebratory parade for the demise of coal production ? Peabody’s bankruptcy follows neatly on from China’s plans to close 1,000 coal mines this year alone. Coal production, which has been a driving force in the world’s two largest economies and CO2 emitters, China, and the US, is now drastically declining. Many countries in Europe are also busy phasing out this source of dirty energy. This is except from countries in the eastern bloc in Europe which are still keen on the black stuff, and where more coal is being mined. It is the case also in Australia where, despite the impacts of climate change and the devastation caused to the Great Barrier Reef, the government down under just loves coal. In Africa and other parts of the developing world some countries are still making a case for coal; although it is a case that is becoming more and more redundant as the economics of renewables improve day by day. In Africa, there is no better case to be made for reducing poverty than by embracing clean energy policies, and in particular solar. So will we continue to rely on coal in the coming decades? Yes, without a doubt, but that reliance will reduce year by year. In no other place is that more true that in the US, partly fuelled by the Obama Administration’s regulations on coal power plants, known as the Clean Power Plan. But it is more likely that the Sierra Club’s, Beyond Coal campaign is the true reason for the troubles of coal in the US. Their campaign against coal has been one of the most successful anti-fossil fuel campaigns in years, closing down coal plant after coal plant. But when the Clean Power Plan is officially implemented, having survived the lawsuits directed towards it (it is currently being held up by a Supreme Court ruling), it will be a further blow to the US coal industry. Australia has gambled hard and has expanded its coal industry in order to increase their coal exports. They’re currently planning to build the world’s largest coal port. This is something the American coal industry would be hoping to do too. But the question is here, who will buy their coal? – where is the market? That market used to be China, but don’t expect China to come to the rescue of the Australian and US coal markets. China’s plan to close 1,000 coal mines this year is actually in order to manage demand because they’re producing much more coal that the country can consume. As China continues to invest aggressively in clean energy, their demand for coal will continue to decrease. And with several new carbon pricing markets being established in the coming years, further costs will be added to coal, while at the same time the economics of clean energy will continue to blossom. There will no doubt be many economies in the developing world which will continue to invest in coal. However, this will become more difficult . 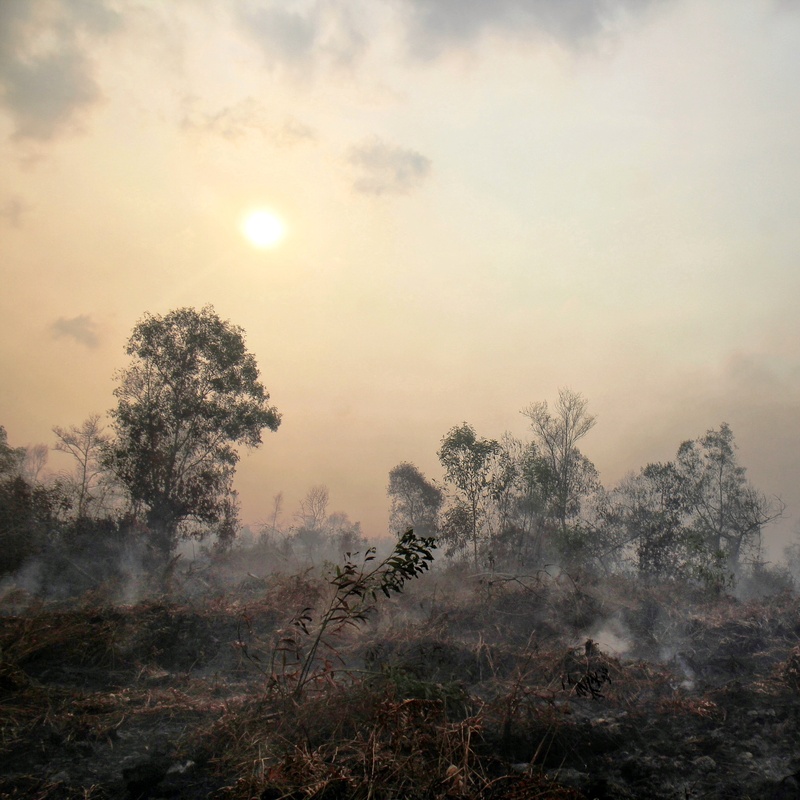 Both the World Bank, the US government and many other funding bodies will not help with investments, as they further distance themselves from coal production and they only provide funding if it is the only option and last resort. The only thing that could really provide an opening for coal is if Carbon Capture and Storage (CCS) moves forward, as this is the only thing that could curtail emissions from coal. Earlier this week 175 countries ratified and signed the in December agreed Paris Agreement on climate change, the first ever climate treaty backed by every single UN member in the world. And coal could only play a future if emissions are kept in check, and right now, even with CCS we are far away from being able to achieve that. So, for now, the outlook for coal looks bleak, while the prospects for clean energy have never been brighter. ← US Elections: Is there a changing attitude in the Republican Party towards climate change?